Cybrillion V3 The Cybrillion V3 is a mechanical Mod in 25mm diameter, work with 21700 battery typ.. The Zlide Tank: The Innokin/Platform Zlide Tank is a collaboration between Phil Busardo, Dimitris.. Simply Tips - Top Refill Tank for Kayfun [lite] 2019 Tank for easy refill Kayful [lite] 2019 from.. Aspire Nautilus 2s Aspire brings you the all new, just as curvy, Nautilus 2S. The new Nautilu..
SXmini Kit Mi Class ..
Dani Extreme V3 - 23mm 60 watt 23mm diameter 0.2 – 3.5 ohm OLED display Available for .. The IJOY IVPC KIT is an updated easy-to-operate vaping kit with a mini body shaped like a cool sport..
Ready Coils Clapton Helix Vandyvape 10 pcs in a pack including 1pcs Coiling Pole Specification..
Zirconium wire 0.30mm Soft Wire : 0.30mm AWG 29 Ohm : 7.10ohm / meter TCR: 260 - 280 ..
Svoemesto Kayfun [lite] 2019 Spare Kit Package include the below items: All o-rings 4x bu..
PGVG Labs - Don Cristo 30ml Its a beautiful cigar flavor that's steeped for 90 day's with real Mo.. Aspire Nautilus 2 Aspire bringing you the new, curvy, Nautilus 2. The latest mouth to lung..
Joyetech RunAbout kit 480mAh Introduction Joyetech RunAbout is such a masterpiece, inspired by.. Battery MNKE IMR26650 - 3500mAh 20A/60A ..
Five Pawns - Flavor Shot Tabiya Ripe sweet melon, sprinkled with sea salt and garnished with..
Flavourist - Flavor Shot Golden Leaf The well known Virginia Gold taste, combined with some ..
Flavourist - Flavor Shot Loukoumades Donuts spritzed with honey and sprinkled with cinnamon. P..
Flavourist - Flavor Shot Trinity Tobacco taste, peanuts from California and sweet caramel notes. ..
Jammin - Flavor Shot Blueberry Jam ..
Jammin - Flavor Shot Blueberry Jam Tart ..
Jammin - Flavor Shot Strawberry Jam ..
Jammin - Flavor Shot Strawberry Jam Sorbet ..
Smoktech X-Pure Diameter - 22mm Guarantee DOA Length - 28mm Manufac..
Each package contains: One assembled atomizer (Black Coated Stainless Steel), one high-quality 1.5mm.. 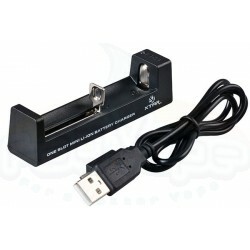 Aspire CF VV 1600 mAh The Aspire CF Battery series are high-end e-cigarette power systems. T.. 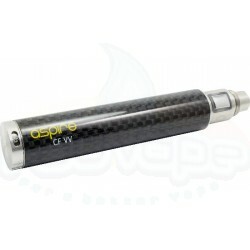 Aspire CF Mod Aspire cf MOD battery supply intense power for low resistance atomizer. Compat.. 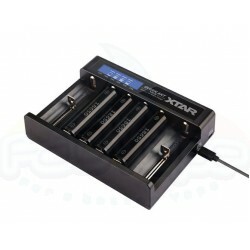 The new XTAR MC1 1-channel charger is a lightweight and handy charger for Li-Ion batteries of sizes ..
QUEEN ANT MC6 Inheriting all advantages of MC series, QUEEN ANT can charge 6 Li-ion batteries at th.. 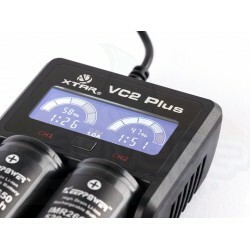 The latest in charger innovation, the VC2 Plus Master is a smart charger that has a countdown timer ..
By XTAR VC4 4-Slot USB Charger invite four batteries independently in one unit. Intelligent devic..
Ohm Reader Working with 2 AA batteries (not included) ..
Tilemahos Armed - Full SS Tanks 23mm Inox Shined Stainless steel Tank for Tilemahos Armed. 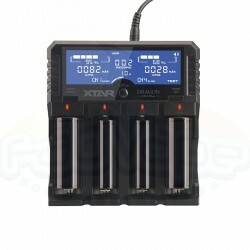 ..
Φορτιστής XTAR VP4 PLUS "DRAGON"
XTAR DRAGON VP4 Plus is specially designed for people who pursue superior quality of life, have a st..